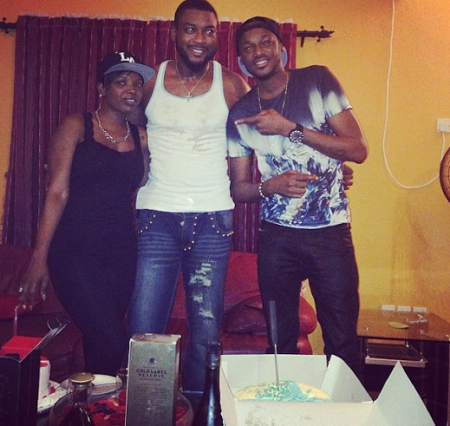 Nollywood actor Chidi Mokeme who turned 42 on Monday got a surprise birthday party from Tubaba and his wife Annie. 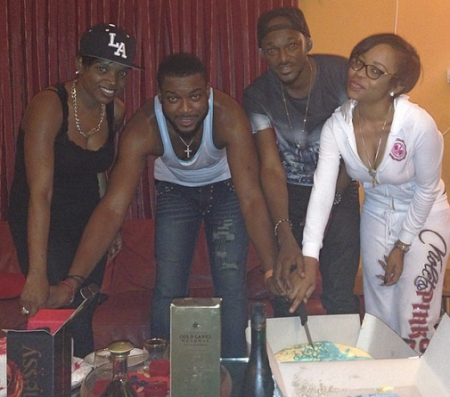 The duo with some friends visited Chidi Mokeme with wines, cakes and birthday presents. For the private birthday affair, the Nollywood actor was all smiles in a grey tank top that showed off his hot body with blue jeans. I hear Chidi Mokeme’s wife has dumped him. This is a gist for another day. 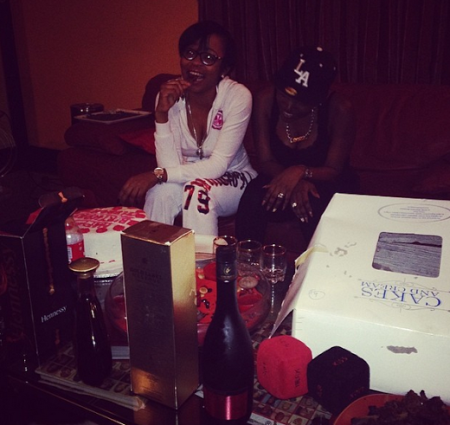 hapi b’day chidi, bt wey other pple, abi na only 4 of una chop d whole thing?